Unlocking Company Law is the ideal resource for learning and revising Company Law. 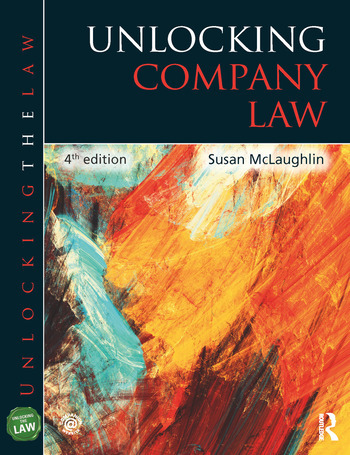 This 4th edition has been extensively updated, and this, along with its many pedagogical features, makes it the ideal companion for students studying Company Law. • essay questions with answer plans. In addition, the book features a glossary of legal terminology, making the law more accessible.